 Copyright ©2017 United Airlines, Inc. All rights reserved. The Boeing 747 has earned its reputation as a revolutionary aircraft. Known as the “Queen of the Skies,” the 747 built up a considerable fanbase, loved by customers and crew. A masterful feat of engineering, the 747 balanced size, power and efficiency. 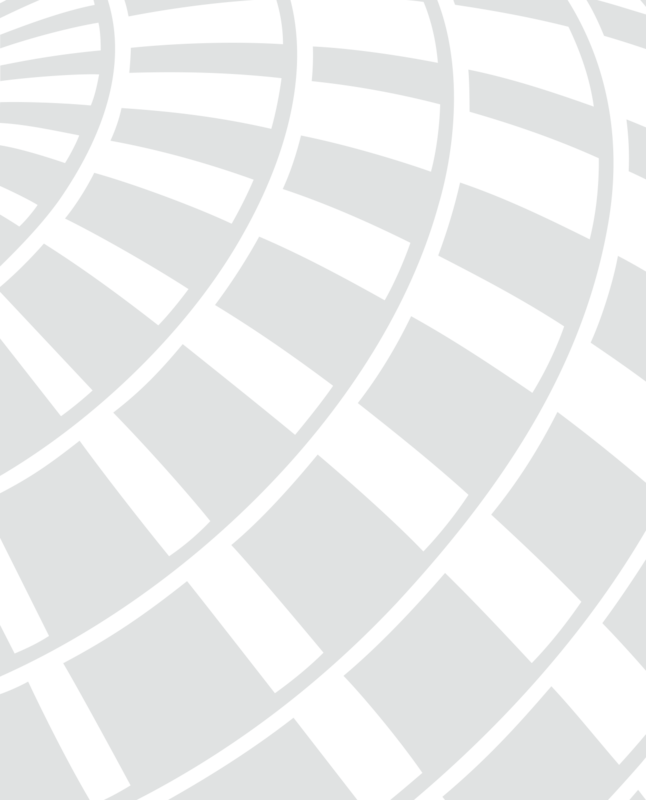 It was the first plane to introduce “big fan” engines, but it will always be best known for its unique upper deck, which gives its silhouette that iconic and instantly recognizable hump. 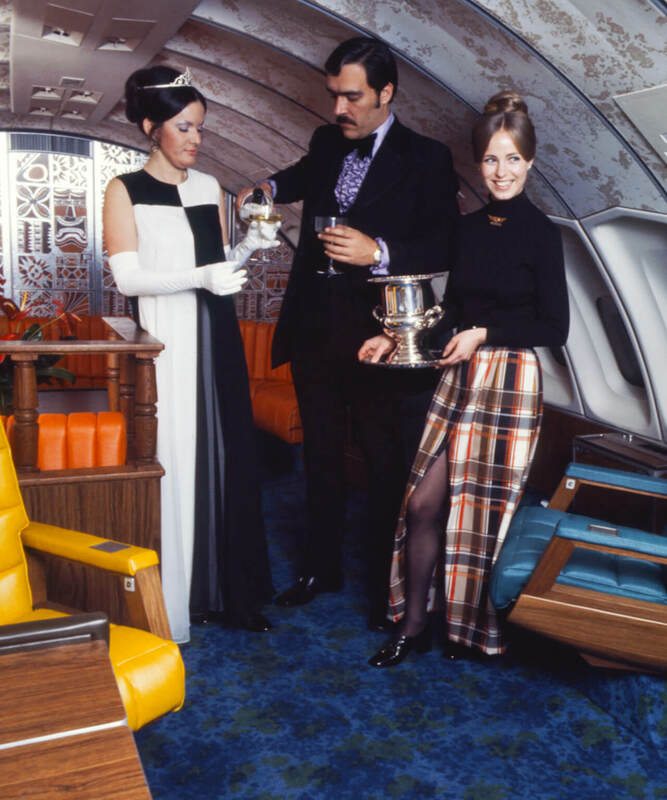 With its wide-body design and double aisles, the 747 also boasted another all-important perk: It felt infinitely roomier than its peers. 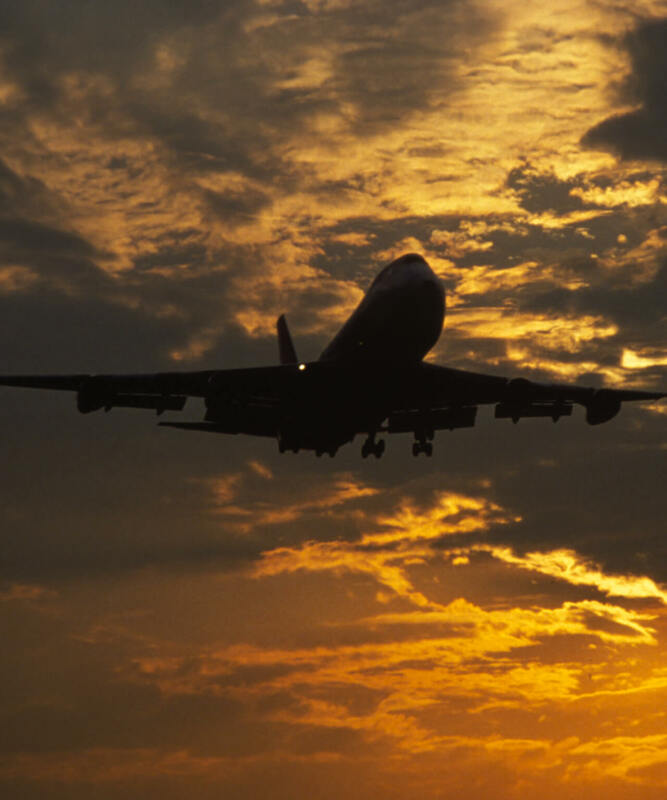 Click below to view the 747 as we pay homage to our most recognizable aircraft as it flies into the sunset after 47 years of service. 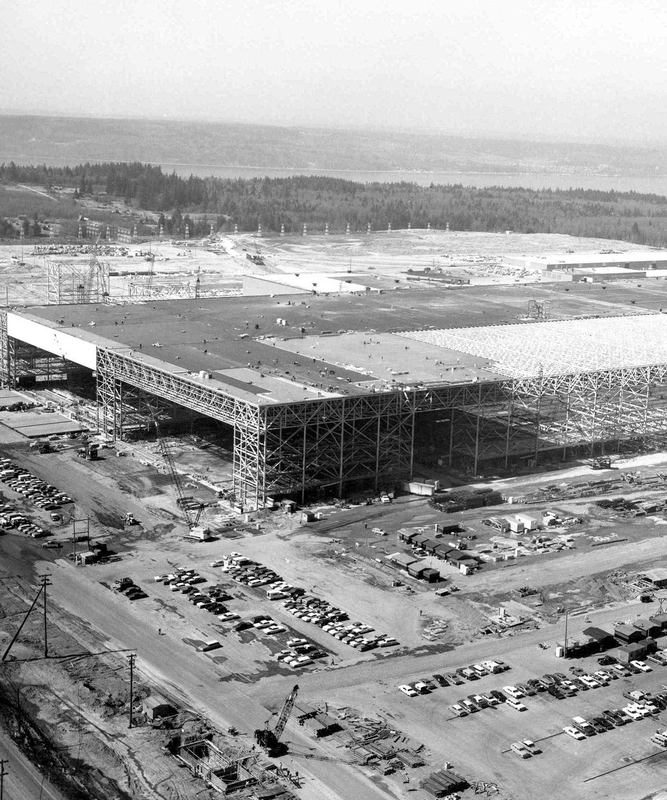 The Boeing Everett Factory, where the 747s are assembled, is the largest building in the world by volume, at 472,370,319 cubic feet — nearly 13 times bigger in the volume than the Empire State Building. Boeing announces it will build a 490-passenger 747 transport. 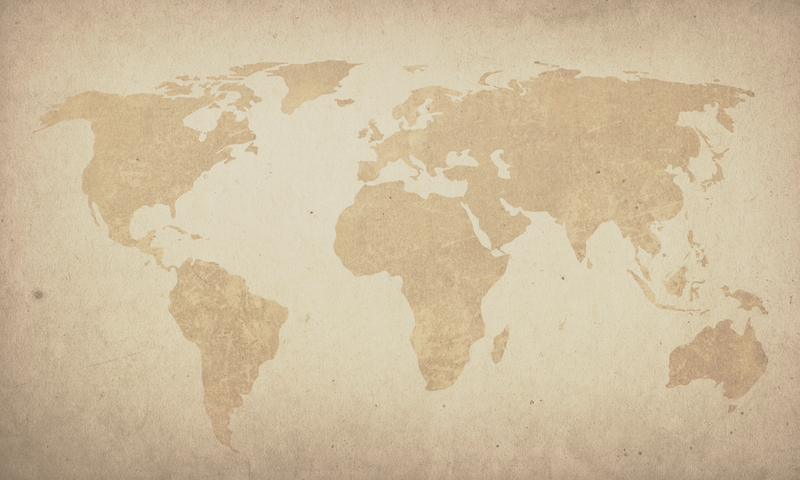 Construction is set to begin in June on a new plant in Everett, Washington. The first production workers for the 747 program arrive in Everett, Washington. 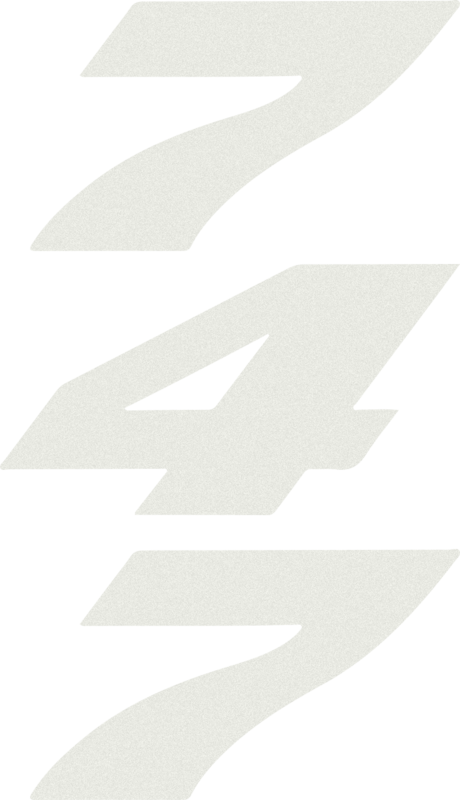 The 50,000 who will bring the 747 to reality in only 16 months become known as The Incredibles. Each of its four wing-mounted engines is 8 feet 6 inches in diameter. 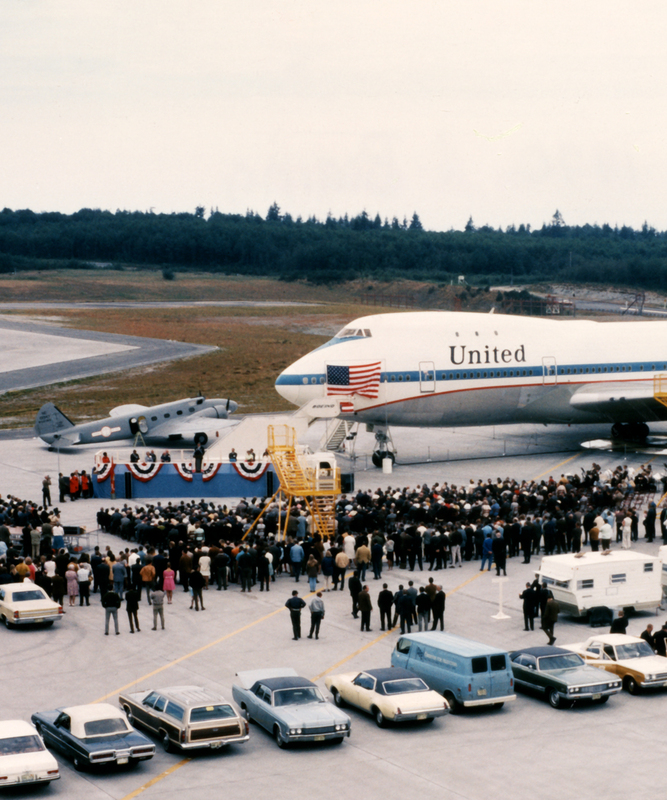 The first 747-100, called City of Everett, is rolled at Boeing’s Washington plant, painted with the insignias of the 27 airlines that had placed orders, including Continental and United. The Boeing 747-400 is one of the fastest passenger aircraft in service, which has a cruise speed of 565 mph, more than two times faster than a Formula One car. Image courtesy of The Museum of Flight Collection. 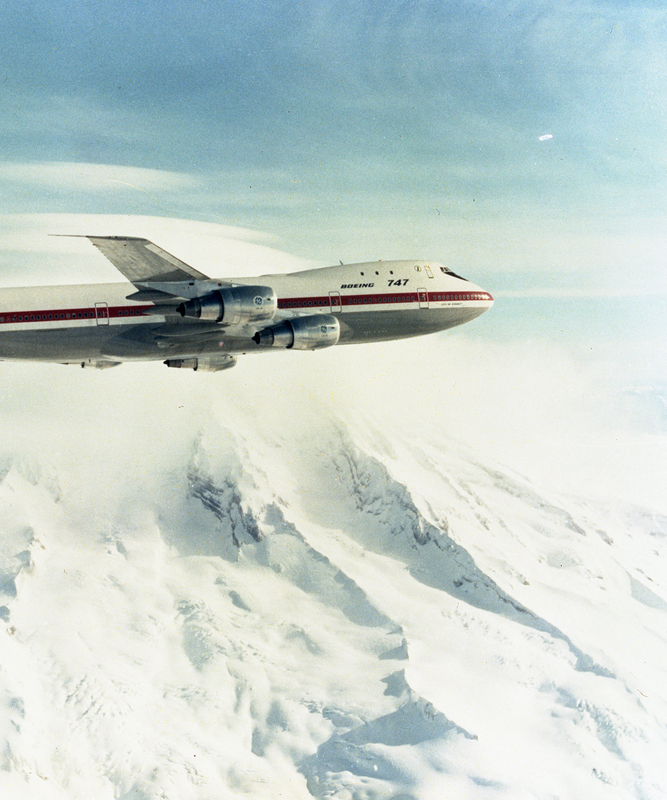 The Boeing 747-100 makes its first flight. 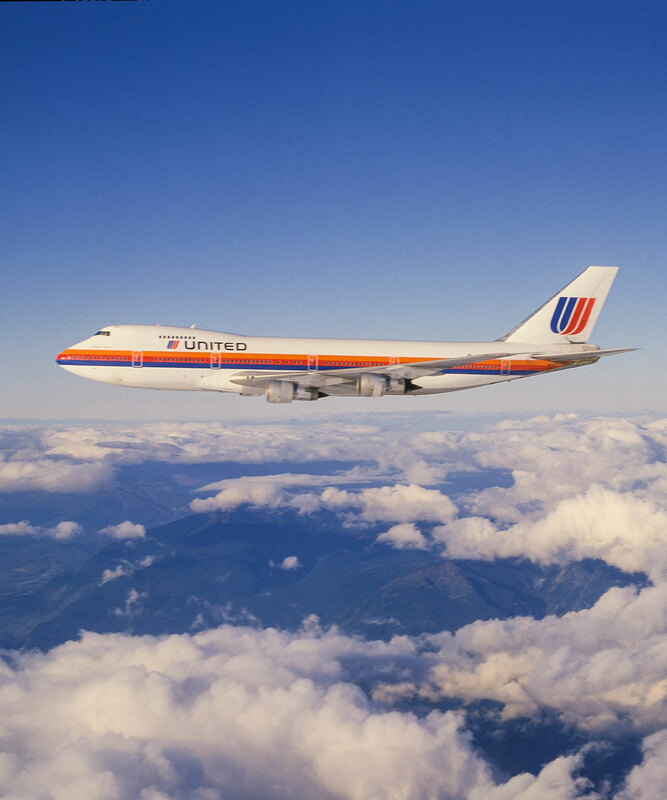 Continental Airlines becomes one of the first carriers to put the 747 into U.S. domestic service, flying from Chicago to Los Angeles and onward to Honolulu. 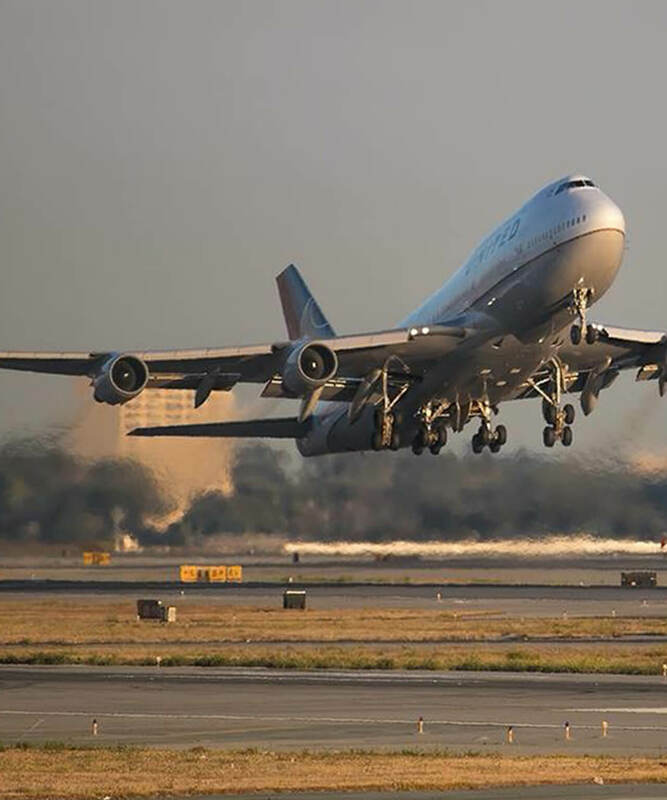 The 747-400 ranks as the commercial airliner with the largest passenger interior volume, at 31,285 cubic feet. United Airlines receives its first Boeing 747-100 complete with a christening ceremony fit for a luxury liner. 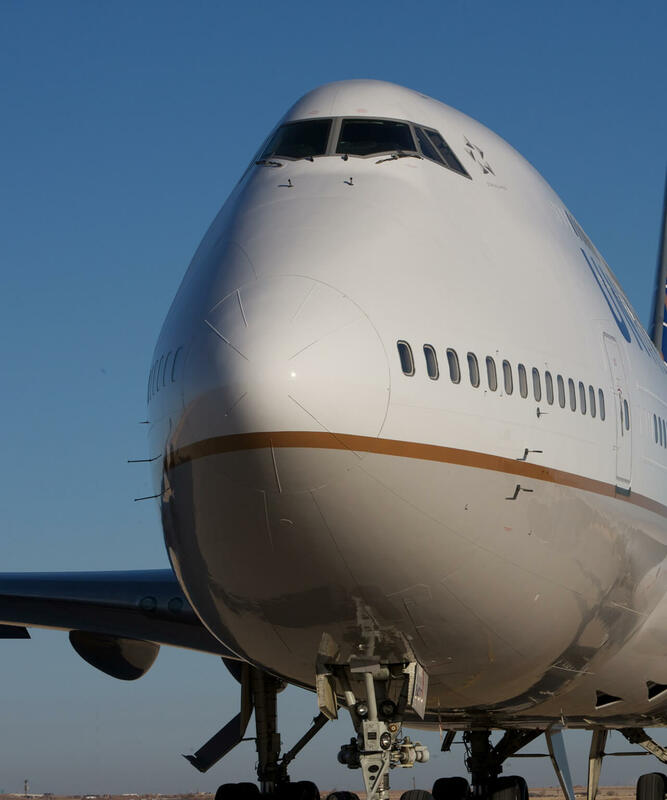 United makes its first Boeing 747 commercial flight, with a trip from San Francisco to Honolulu. The 747 fleet flies its 100 millionth passenger. 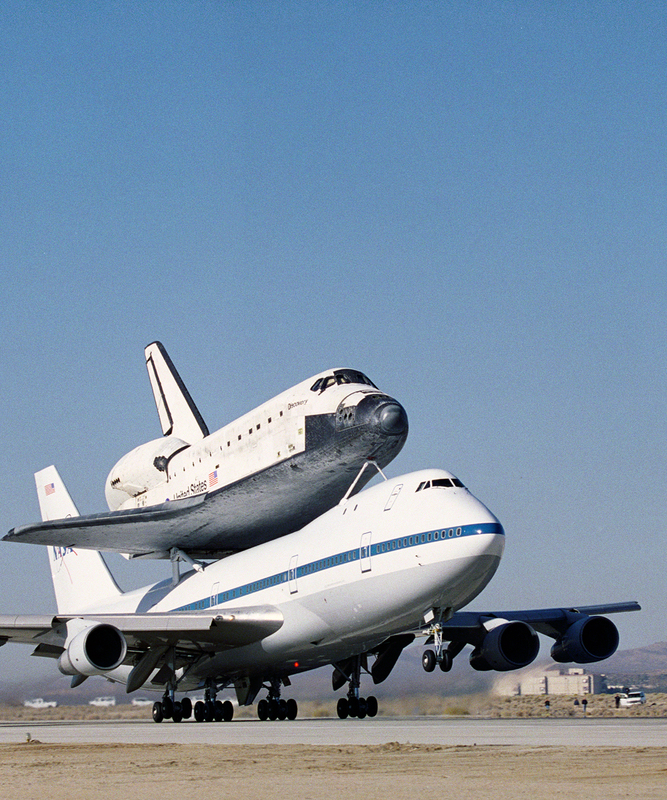 A modified 747-100 is delivered to the NASA to serve as the carrier vehicle for the space shuttle. NASA employed this pair of modified 747-100s to transport space shuttles piggyback-style — mounted atop the 747 — from their landing sites back to Kennedy Space Center and on numerous test flights. NASA employed a pair of modified 747-100s to transport space shuttles piggyback-style — mounted atop the 747 — from their landing sites back to Kennedy Space Center and on numerous test flights. 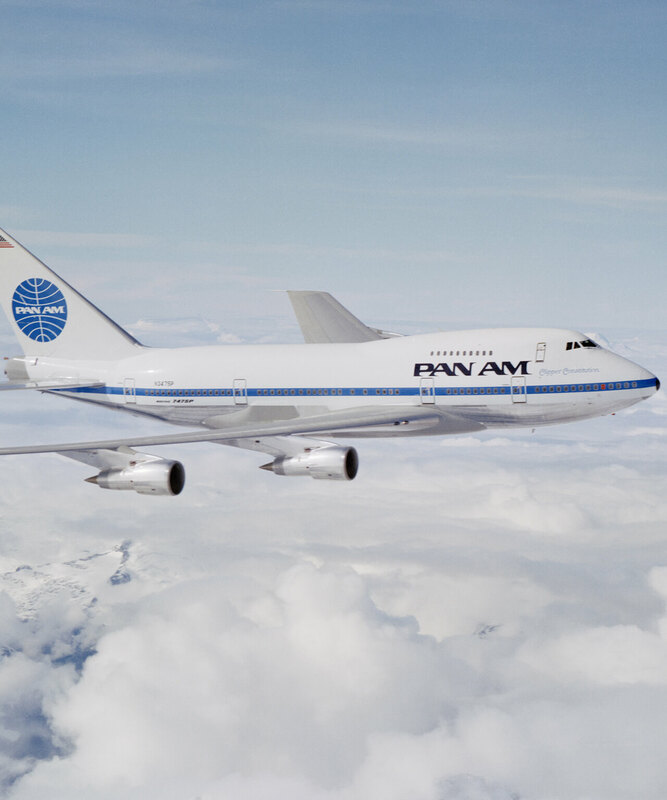 United announces plans to acquire Pan Am’s Pacific routes, plus 11 747SPs, which are 48 feet shorter and fly faster and farther than the standard 747s. The VC-25, a version of the Boeing 747-200 built to U.S. Air Force specifications, makes its first flight. 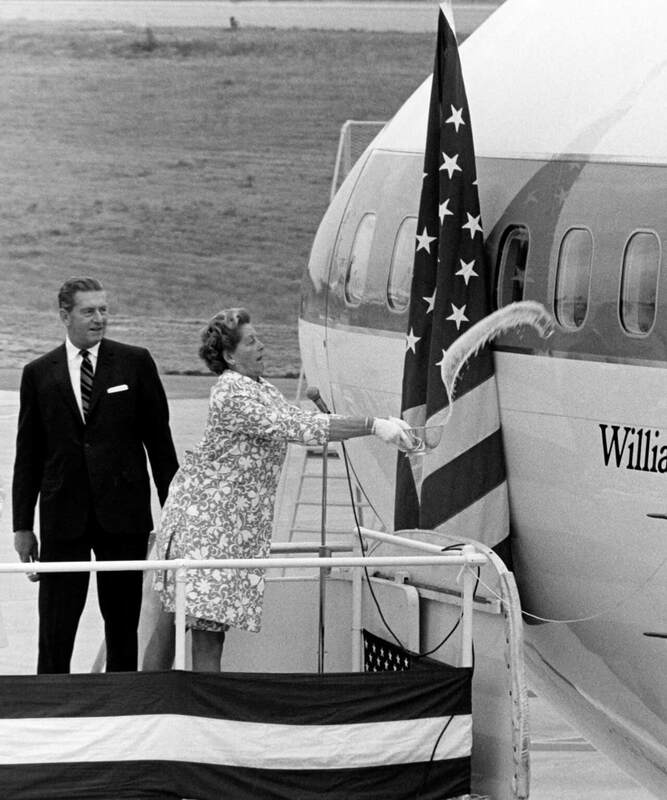 Better known as Air Force One, these planes still serve the president today, having replaced the VC-137s (Boeing 707s) which had served as the presidential aircraft for almost 30 years. This special flight raises $500,000 for children’s charities through the Friendship Foundation. Special guest passengers included astronaut Neil Armstrong, famed test pilots Bob Hoover and Lieutenant General Laurence C. Craigie and Moya Lear, the widow of Lear Jet founder Bill Lear. 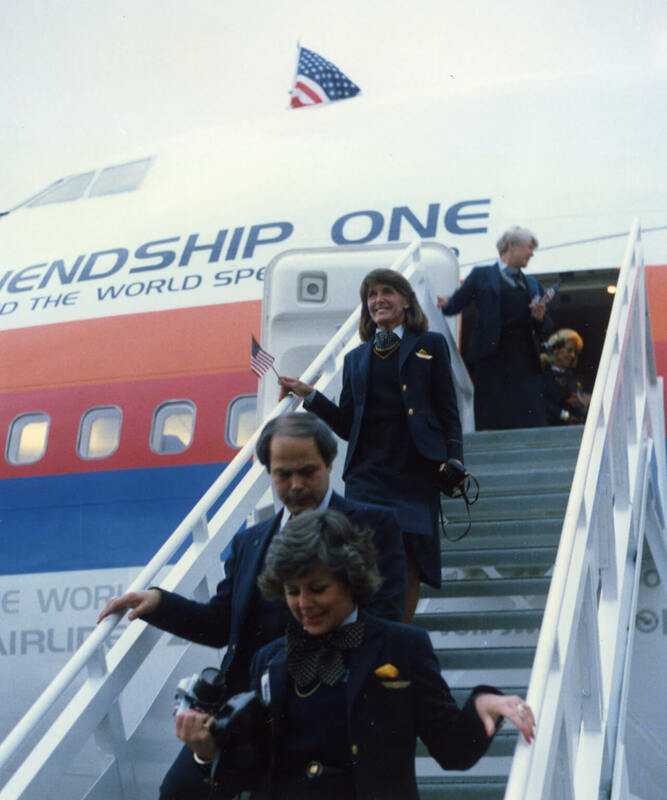 Friendship One, a Boeing 747SP owned by United Airlines, sets the around-the-world air speed record of 36 hours, 54 minutes and 15 seconds. 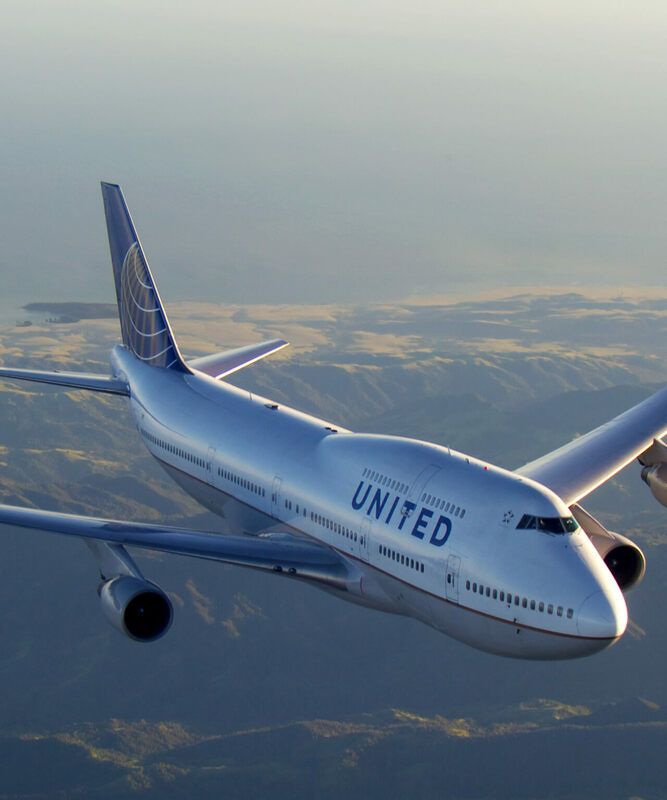 United Airlines receives its first Boeing 747-400, which provides increased range. The Boeing 747-400 is one of the fastest passenger aircraft in service, which has a cruise speed of 567 mph, nearly three times faster than the Formula One car. At 231 feet, 10 inches from nose to tail, the 747-400 is as long as roughly five humpback whales end-to-end. Its wings have a surface area of 5,650 square feet, nearly the size of a basketball court. United Airlines launches the Boeing 747-400 into service with a trip from Los Angeles to Sydney, Australia. This newer version boasts increased range and more fuel-efficient engines. The first of two modified Boeing 747-200Bs is delivered to the U.S. Air Force for presidential transport. 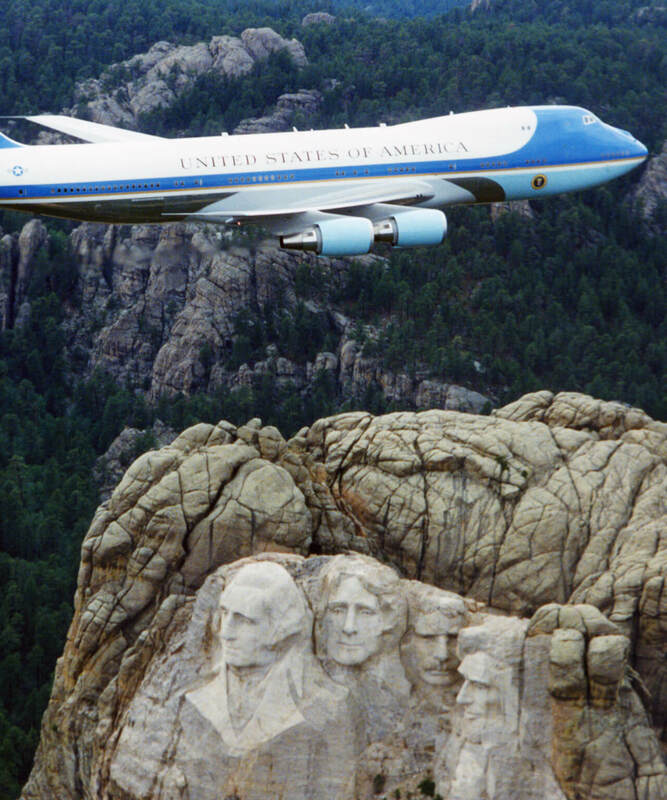 Better known as “Air Force One”, these planes still serve the president today. Equipped with 4,000 square feet of interior floor space, including special features, such as air-to-air refueling, a medical operating room and other classified perks. Air Force One is a fully self-sufficient plane. 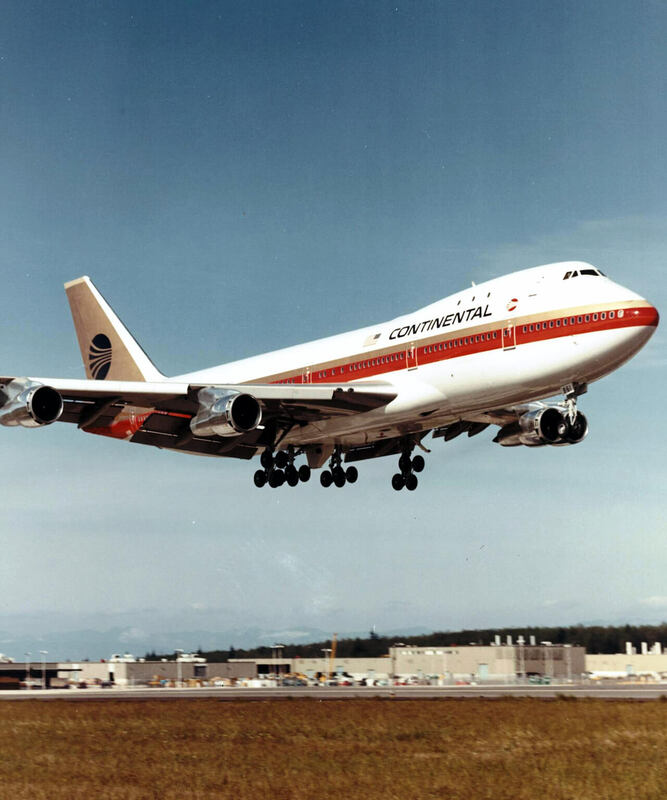 The current 747-200B version was delivered in 1990, during the presidency of George H.W. Bush, and is expected to be replaced soon with updated 747-8i models. A 747SP previously flown by United and Pan Am is transformed into NASA’s SOFIA, or Stratospheric Observatory for Infrared Astronomy. The airplane’s body features an enormous door that can be opened mid-flight to allow its infrared telescope access to the sky. Each of its four wing-mounted engines is 8 feet 6 inches in diameter, about a foot taller than the NBA legend Manute Bol. The upper deck of the 747-400 has the same square footage as Boeing 737-200. The wingspan of the 747 comes in at 211 feet, 5 inches, half as tall as the Pyramid of Giza. The wingspan (211 feet, 5 inches) is about 10 feet wider than the Lincoln Memorial in Washington, D.C.
Boeing delivers the 1,500th 747 to come off the production line. 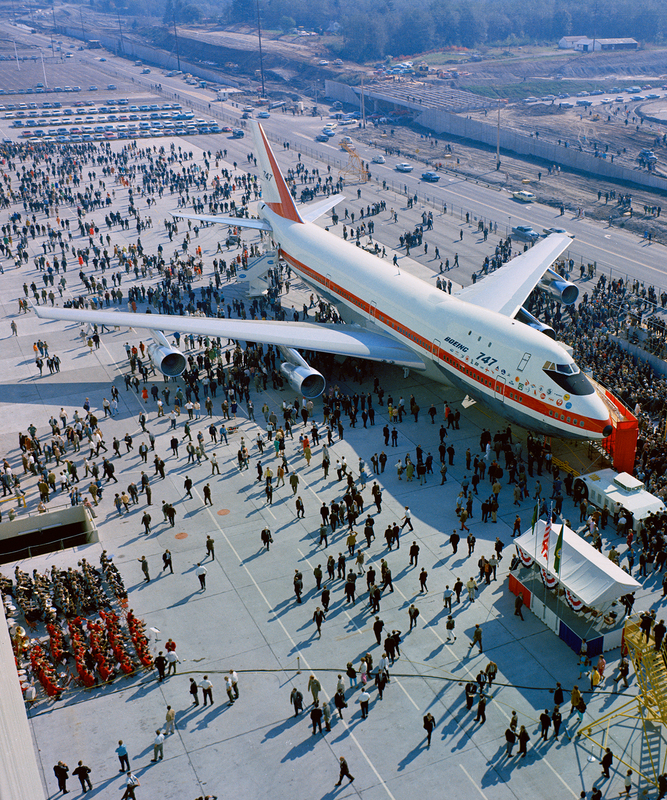 The 747 aircraft is the world’s first wide-body airplane in history to reach the 1,500 production units milestone. 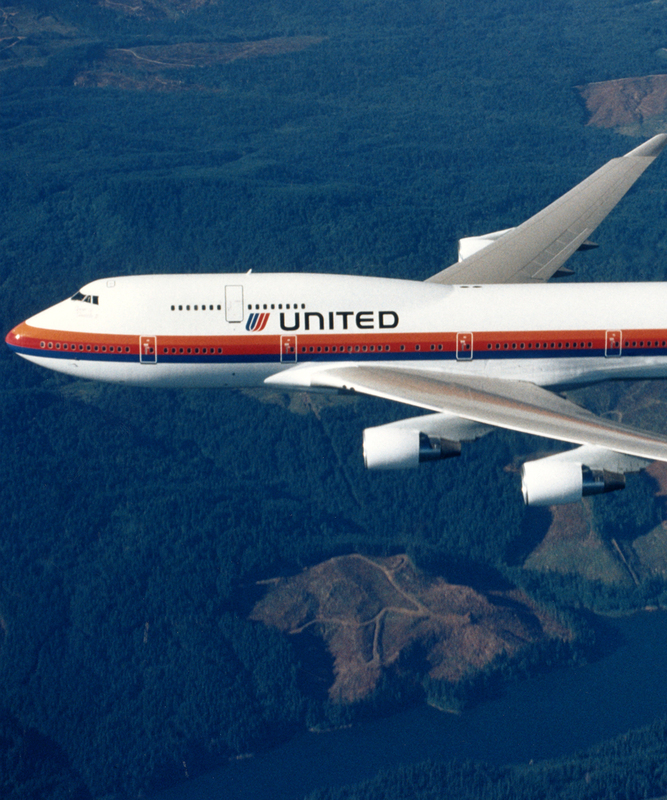 United announces that it will retire the Boeing 747-400 fleet in the fall of 2017. 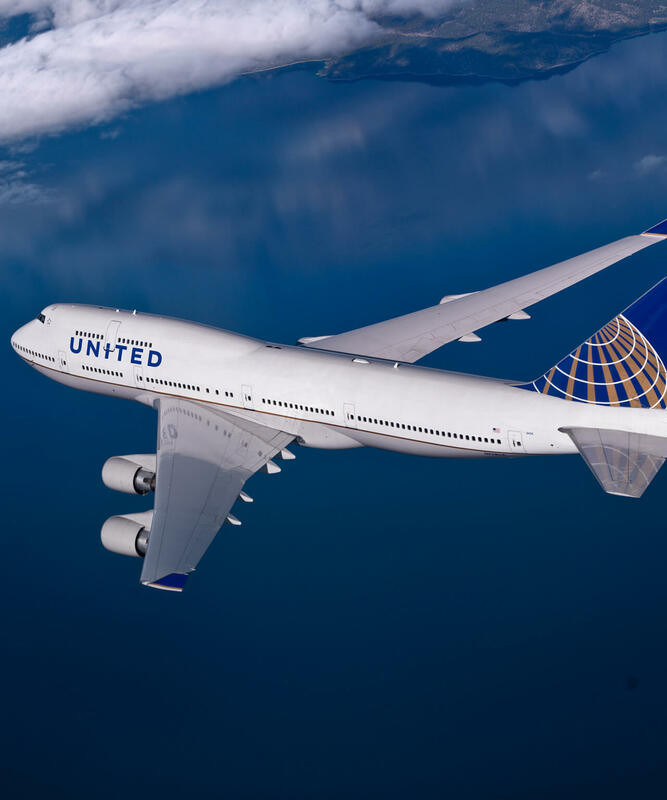 United schedules a special domestic flight from Chicago O’Hare to San Francisco to enable more customers and fans to say farewell to the Queen of the Skies. 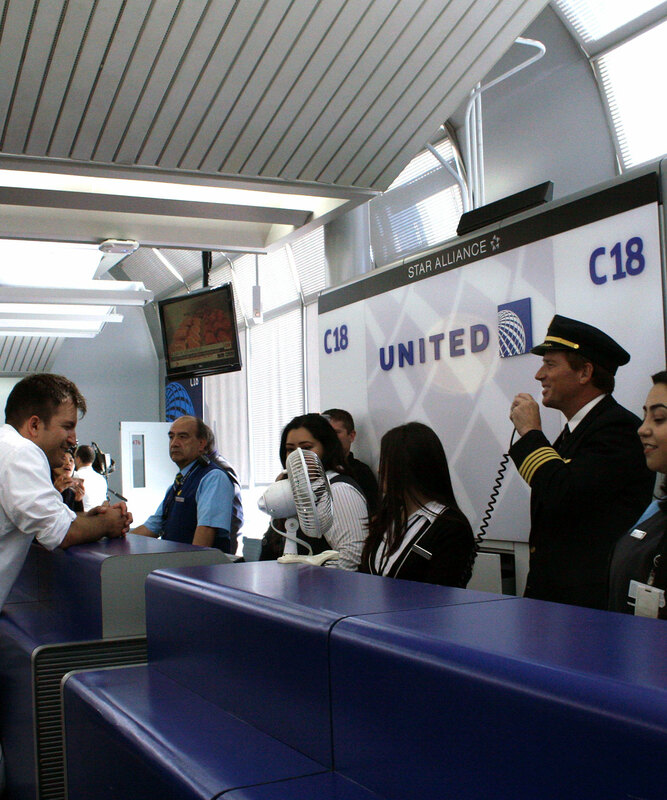 United flies its last international 747 flight from Seoul to San Francisco. 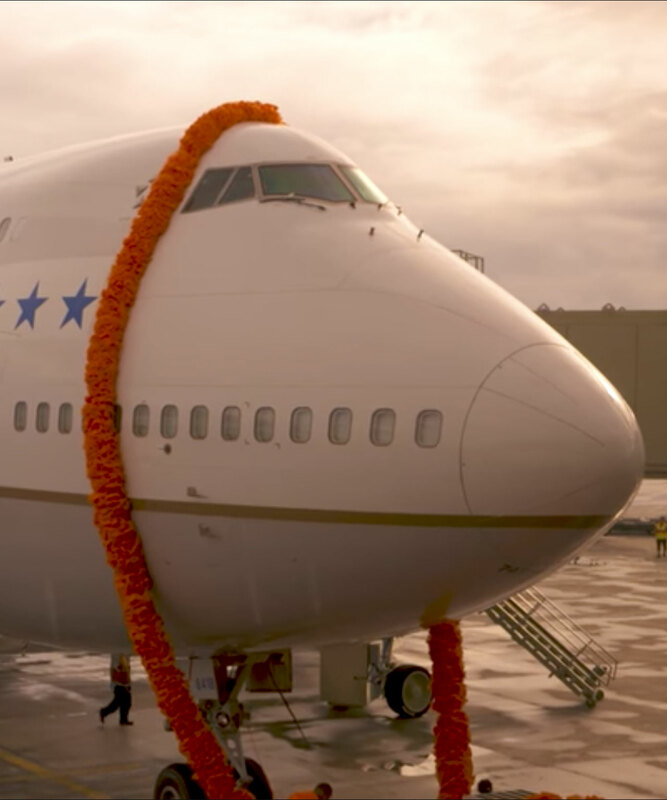 United celebrates the retirement of the Boeing 747 with a fitting full-circle moment. 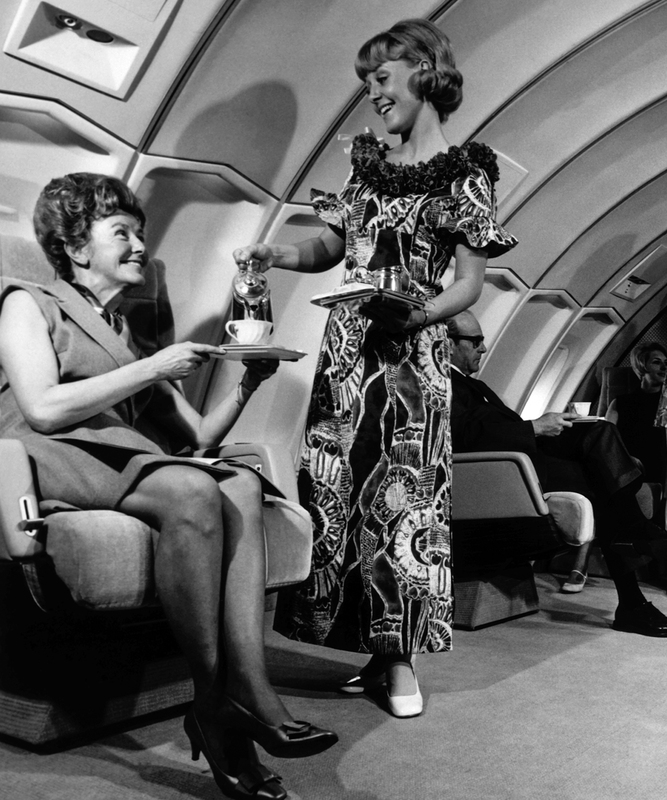 A special retro event sees the aircraft flying from San Francisco to Honolulu— a nod to its first United flight back in 1970.